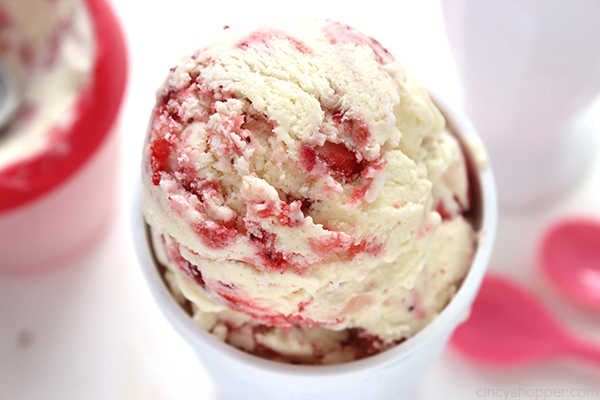 It’s summer and this No Churn Strawberry Ice Cream will make for a perfect cold treat. No ice cream machine is needed. 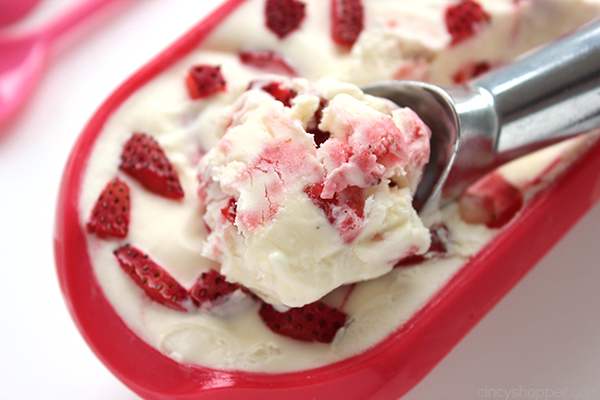 You will find it creamy and loaded with layers of strawberries. Make your own homemade ice cream, it is so much better than store bought. 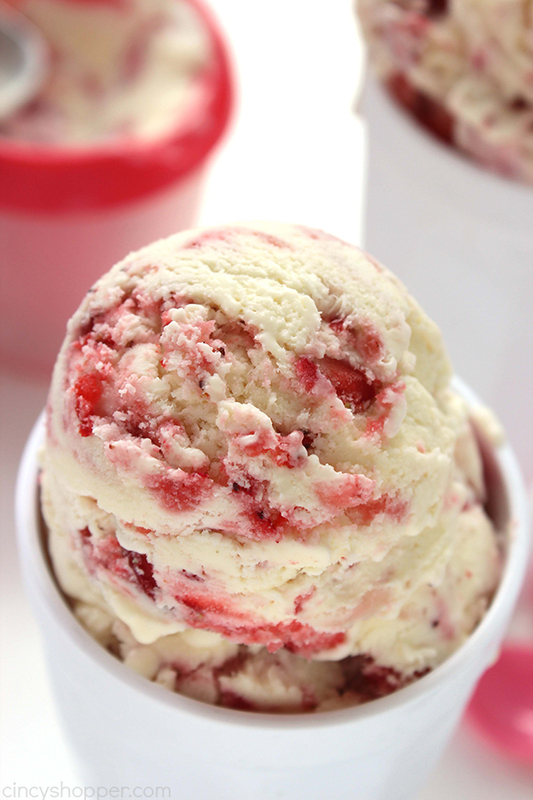 All year long, we make homemade ice cream. 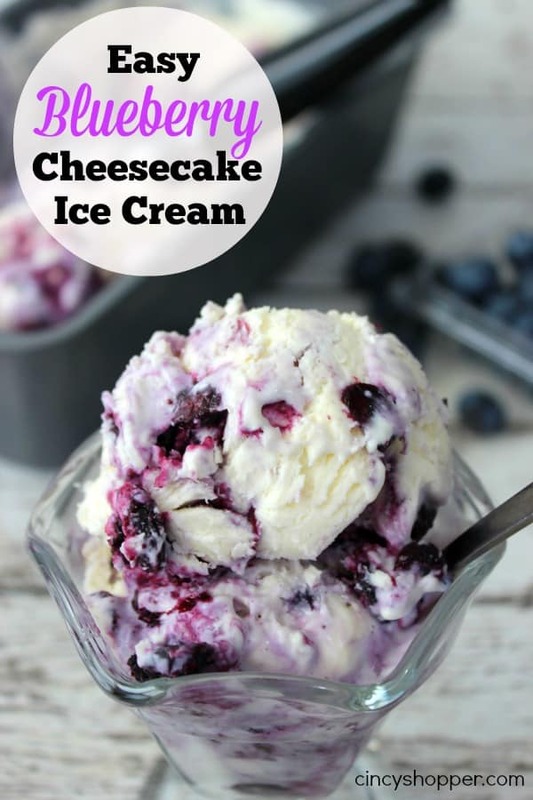 It is so super simple and no ice cream machine is needed. 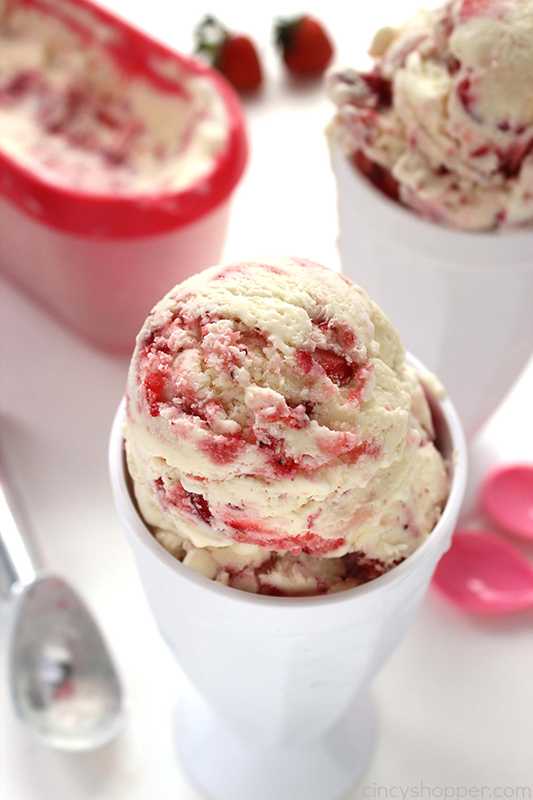 You can mix up a batch and have it in the freezer in no time at all. Everyone has their favorite flavor of ice cream. You know, the one you choose every time you are in the ice cream isle at the grocery. I know I stick to 2 or 3 different favorites when I purchase, ha ha. Now that I make homemade ice cream most of the time, I like that we can get creative and make different flavors that we come up with. 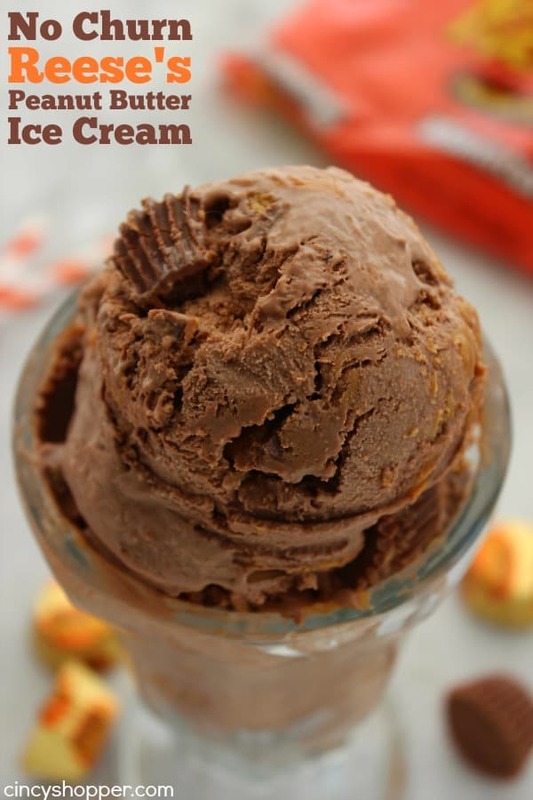 My family LOVES our Reese’s Peanut Butter Ice Cream, it’s the flavor I make most often. During the holidays, I like to make our fall favorite, Pumpkin Pie Ice Cream. 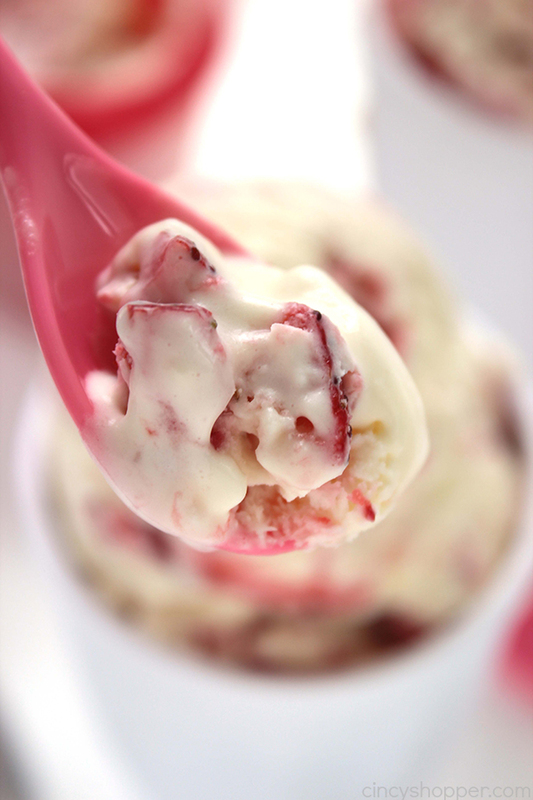 During the winter months, our Peppermint Chocolate Chip Ice Cream has become a frequent request. For Mother’s Day this year, I received one of these handy Tovolo Ice Cream Tubs. I LOVE this thing, it is perfect for storing all of our homemade ice creams. You can find the Tovolo Ice Cream Tub over on Amazon. I have used it quite a few times and I really like it. 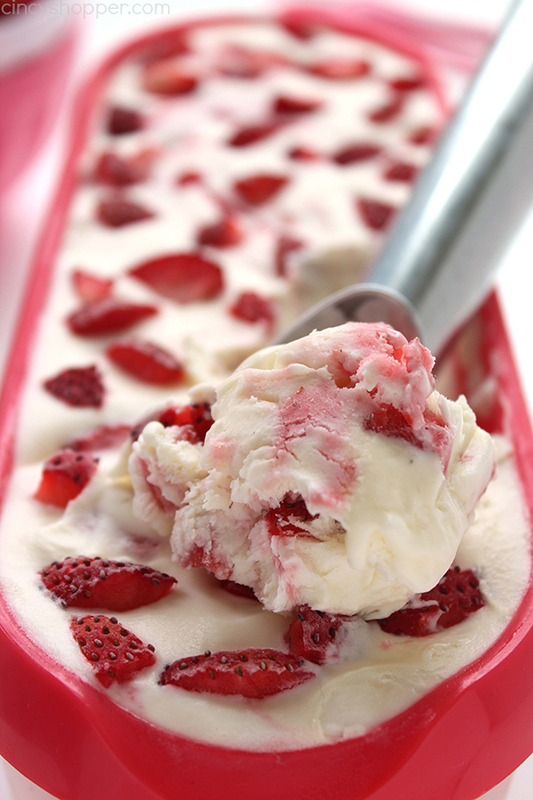 Strawberries were on sale this past week and strawberry ice cream is my sons’ favorite when I purchase store bought. 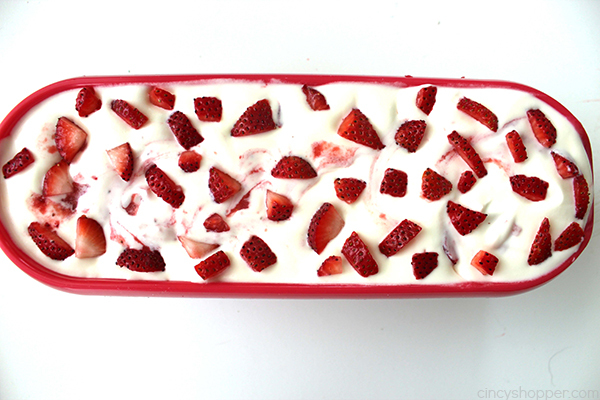 I figured it was time to make a fresh strawberry ice cream for our after dinner treat. 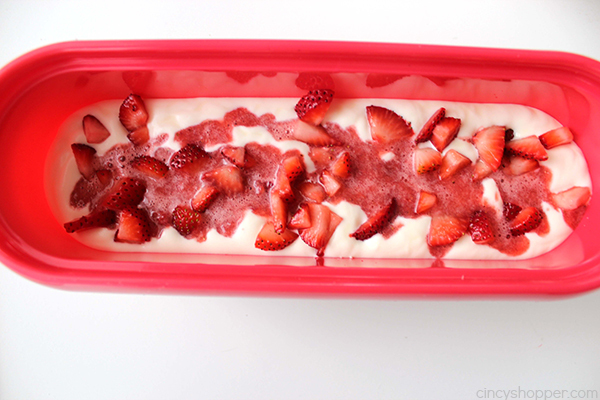 I took our basic ice cream recipe and added in some slightly pureed strawberries and then layered in some diced strawberries. It was perfect! 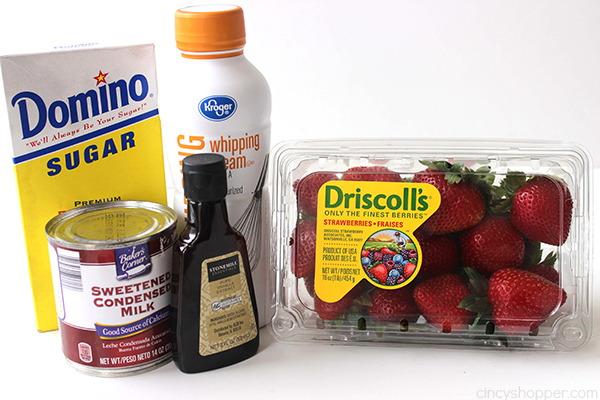 All that you will need to make your own Homemade Strawberry Ice Cream is heavy whipping cream, sweetened condensed milk, strawberries, vanilla, and sugar. So super simple and so fresh! 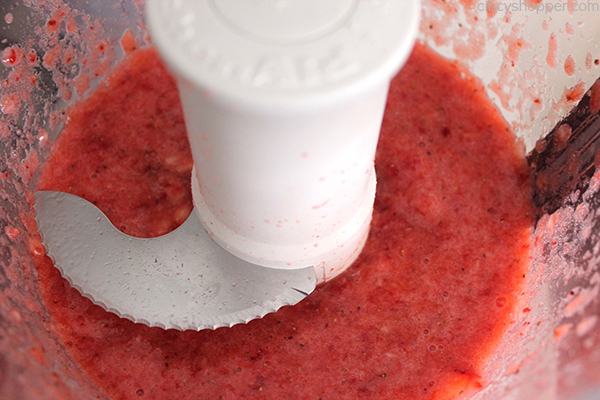 Puree about half the strawberries in food processor or blender. 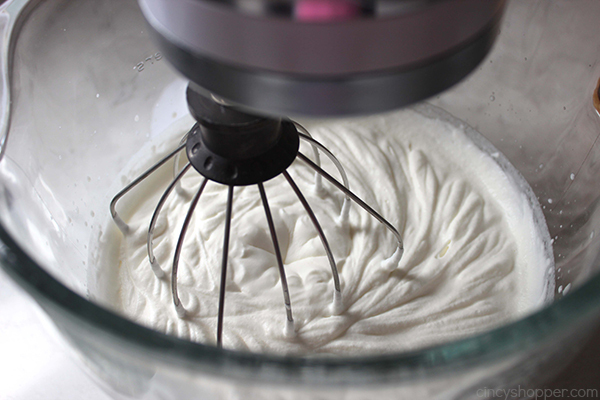 In a large bowl, whisk heavy cream, sugar and vanilla until soft peaks form. 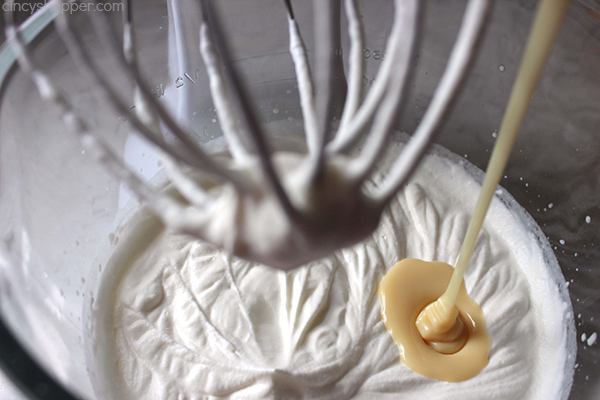 Fold in condensed milk until blended. Spread about half this mixture into a loaf pan or container. 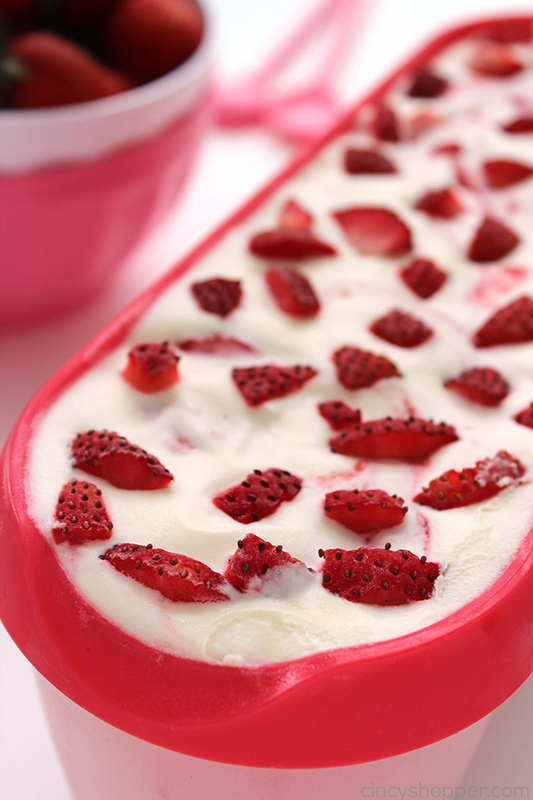 Spread about half the strawberry puree on top. 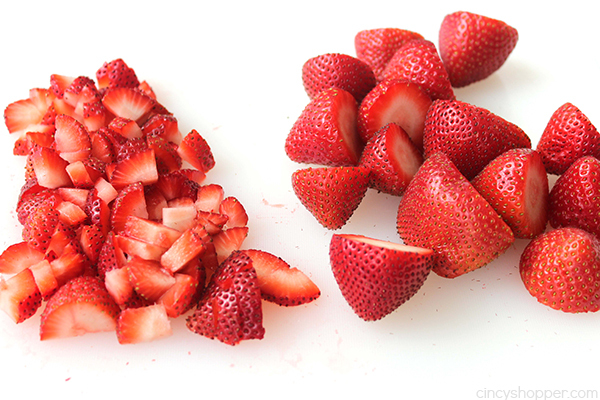 Sprinkle about half the chopped strawberries on top. 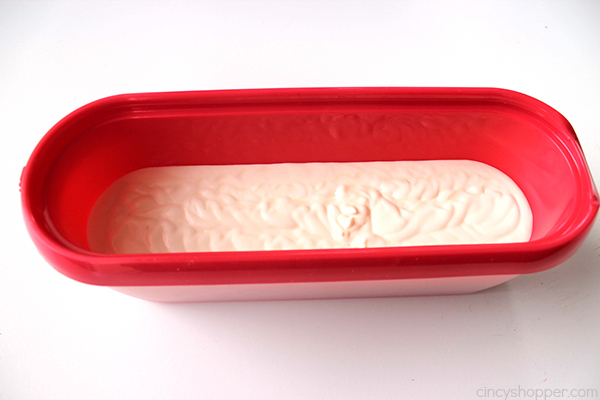 Spread remaining ice cream mixture into container. 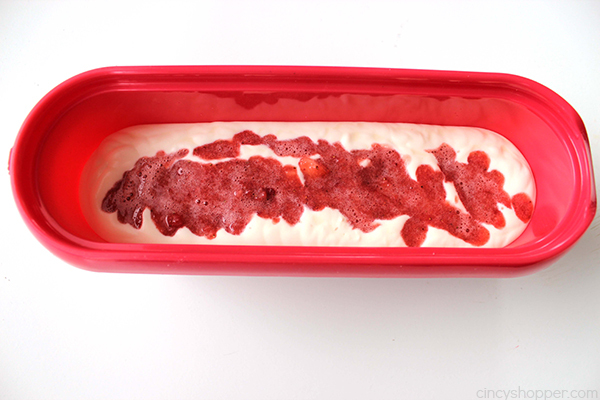 Spread remaining strawberry puree on top. 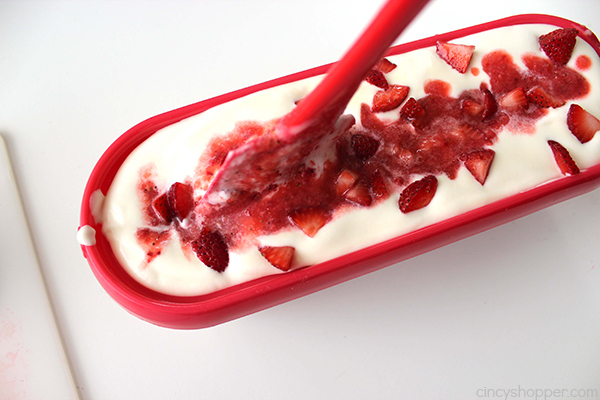 Run a knife or spatula thru container to create swirl. 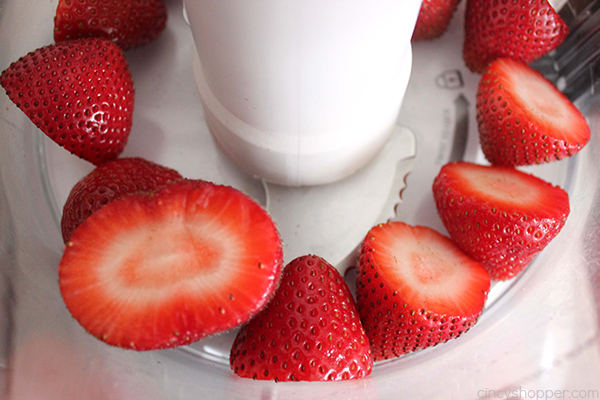 Sprinkle remaining chopped strawberries on top. Cover and freeze for 6 hours or until firm. 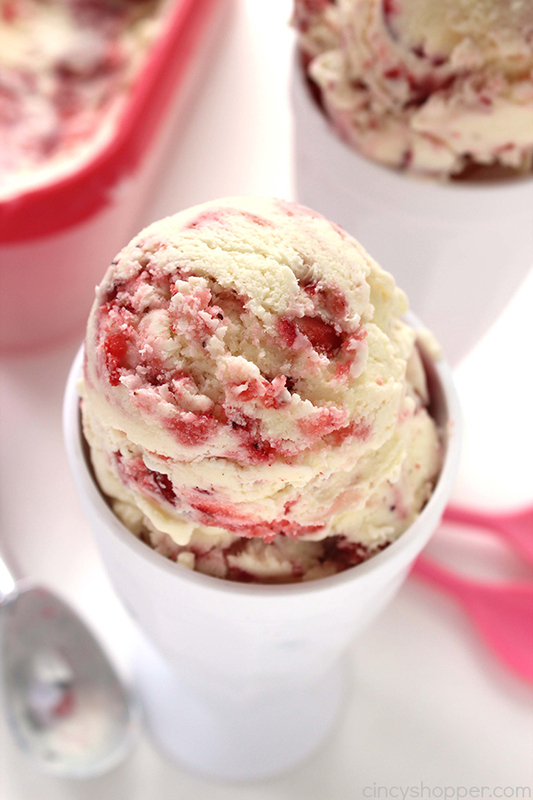 Do you have a favorite homemade ice cream that you enjoy for a cold treat during the summer months? I am really enjoying your blogging site with so many easy recipes! I’ve been following you for about 3 months. Your photography is looking good …. and the food you’re putting together is looking delicious! I’m so ready and willing to make your ice cream recipes. I love that many of the recipes include so many, if not all, ingredients that are typically in a kitchen. Thank you! I made it yesterday and it was really good. Today it is rock hard. What did I do wrong? It’s been much too long since I’ve made ice cream, thanks for the reminder! 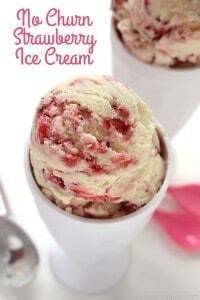 Stopping by to share some of your delicious ice creams on Pinterest and Facebook. 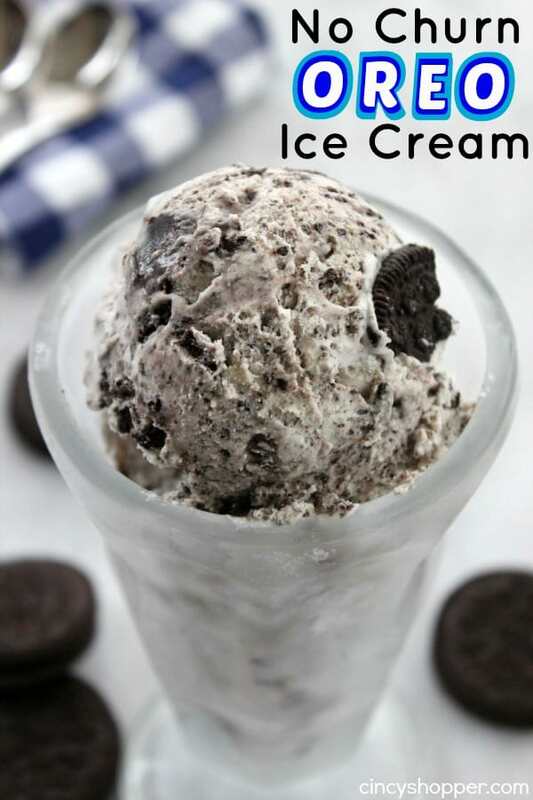 It is so hot and I know everyone would love some homemade ice cream. Thanks so much for joining us at Delicious Dishes! 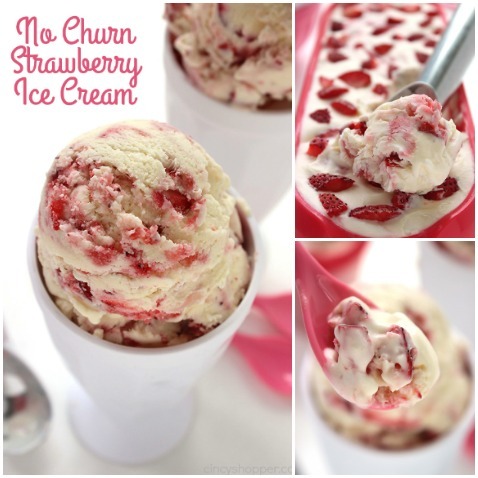 We love your No Churn Strawberry Ice Cream recipe and hope you’ll join us again this week!